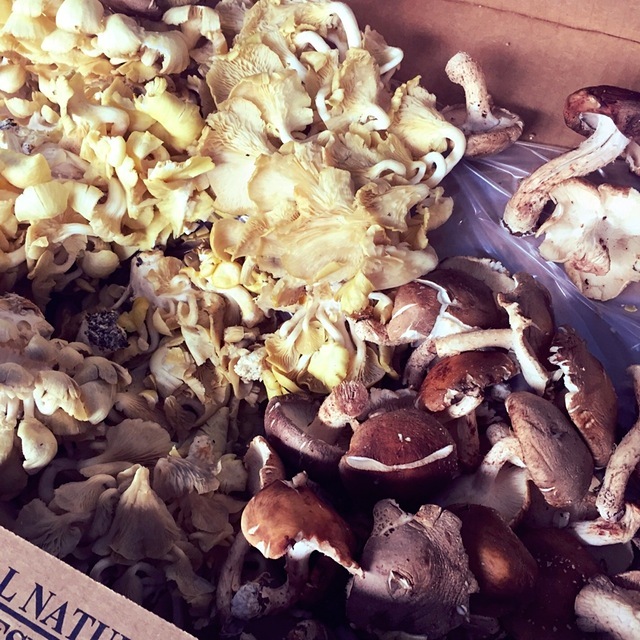 Mushroom foraging is like fishing and hunting— you go out into the wild, and (hopefully) return with a catch or harvest you’re pretty darn proud of. One that you want to show your mom, photograph and hang on the wall (or share with Foodstand!). And then enjoy, bite by bite, with friends and family. 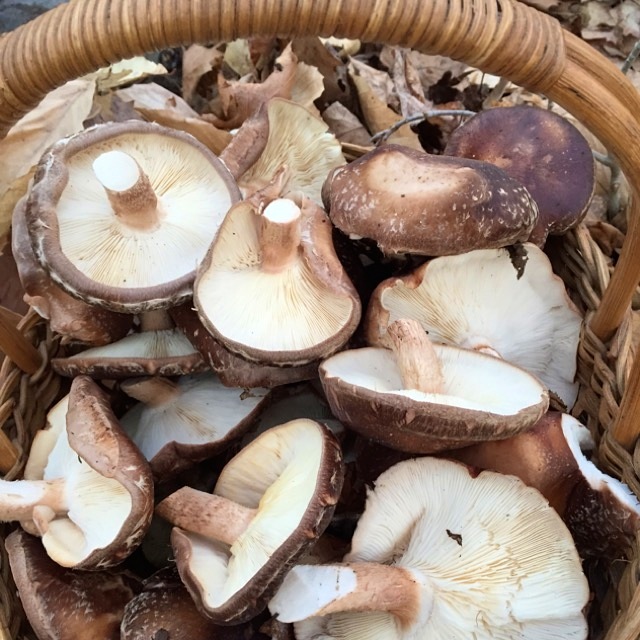 It’s true that we do have access to farmed mushrooms all year round (thanks to climate control and the mushroom log), but fungi aren’t without their seasons. 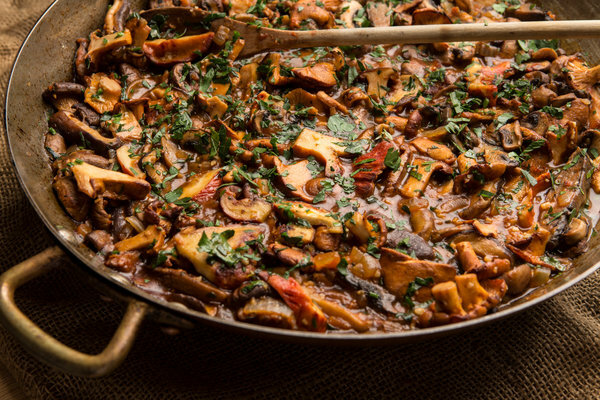 And fall is a wonderful time to bring mushrooms into the kitchen! First things first- if your mushrooms came from the grocer’s in a plastic container, get ‘em outta there! They’ll get claustrophobic and turn slimy if overcrowded. Spread them in a dish in your fridge, but be sure to cover them with a damp cloth because you don’t want them to dry out either. Alternatively, they’ll keep in a brown paper bag. Wiping them with a dry or barely damp cloth or brush is best. 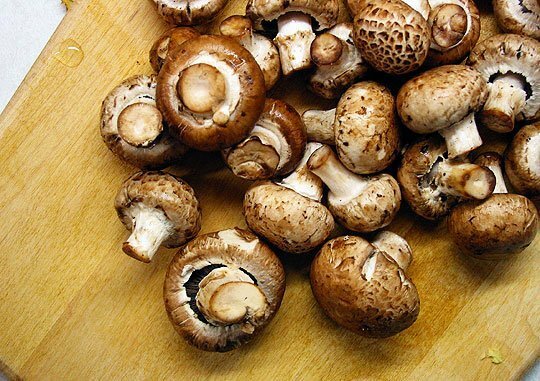 Mushrooms have a fairly high water content, and you don’t want to make them soggy. One option is to eat them raw! Perhaps not really cooking, but it’s great when ingredients can be eaten raw or cooked. Certainly makes them versatile for the weather and the type of dish, which is great for a product that is available year-round. Slice them thinly and add to a bowl with shaved parmesan cheese and parsley leaves. Toss with a simple dressing of lemon and extra virgin olive oil, and garnish with flaky sea salt. If you do decide to use the stove, the key to cooking mushrooms is getting all of the moisture out so that they turn a lovely golden brown. Cook them on medium-high heat, in a shallow pan, and be sure not to overcrowd them. The mushrooms will release their liquid after a few minutes of cooking, and once the liquid has evaporated, you’ll start to get some good color. Ever wonder why those “baby bella” and cremini mushrooms you see at the store look exactly the same? It’s because the are! Agaricus bisporus, for all of you fungi nerds out there. Just thinly slice them— they are delicious raw. 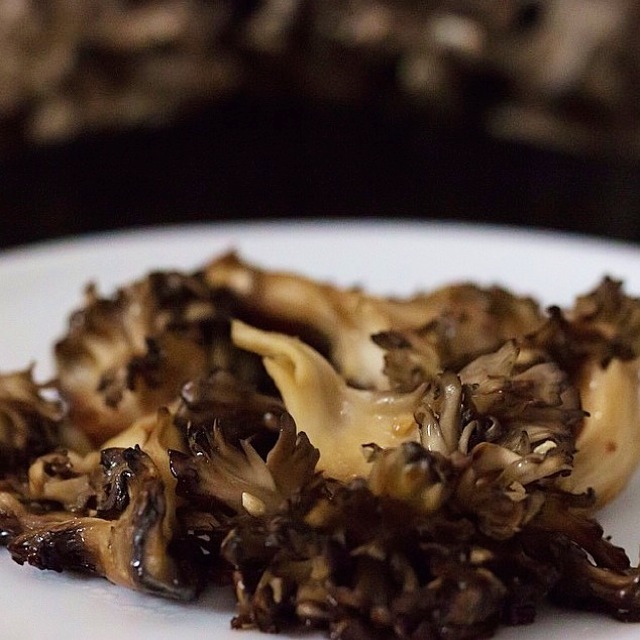 A springtime foraging favorite, the morel looks similar to its sometimes poisonous doppelgänger. 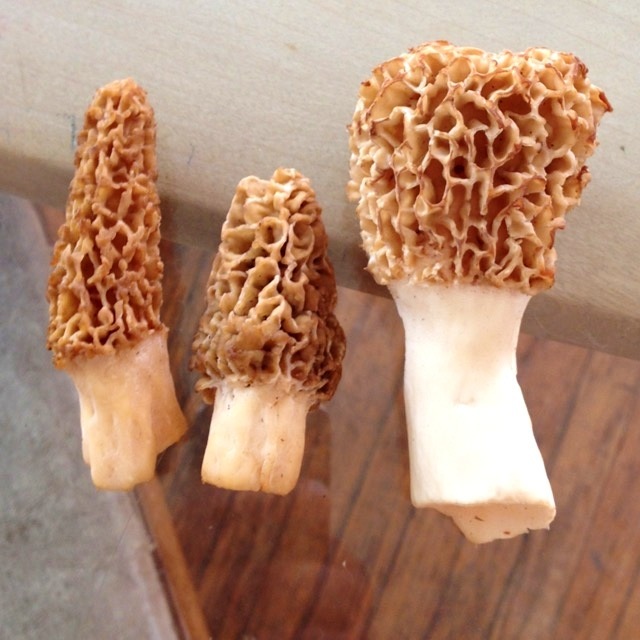 You can identify a true morel by its hollow stem, and cap that attaches at the bottom. 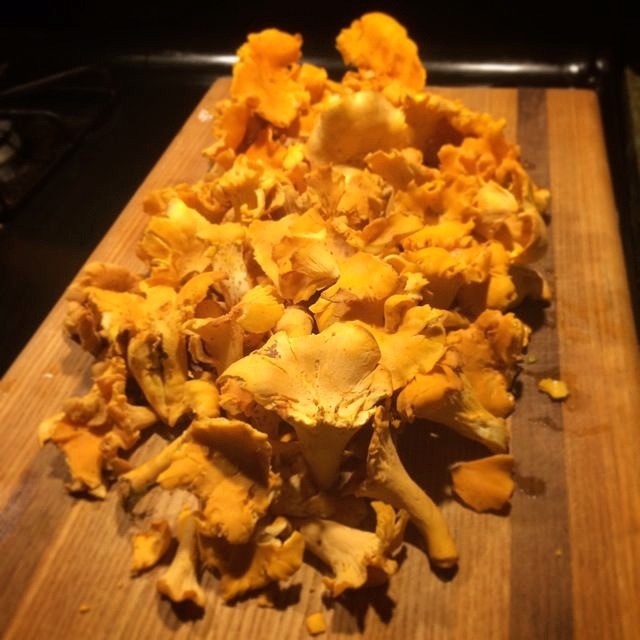 Summer is the prime time for wild chanterelles. Their rich complex flavor is released when cooked in fat, so add them to a pan with butter or olive oil and cream. These fall fungi are found late August through November, depending on the weather and location. They can grow to be quite large, so slice them up before giving them a good sauté. Trade secret- they’re absolutely delish on pizza. 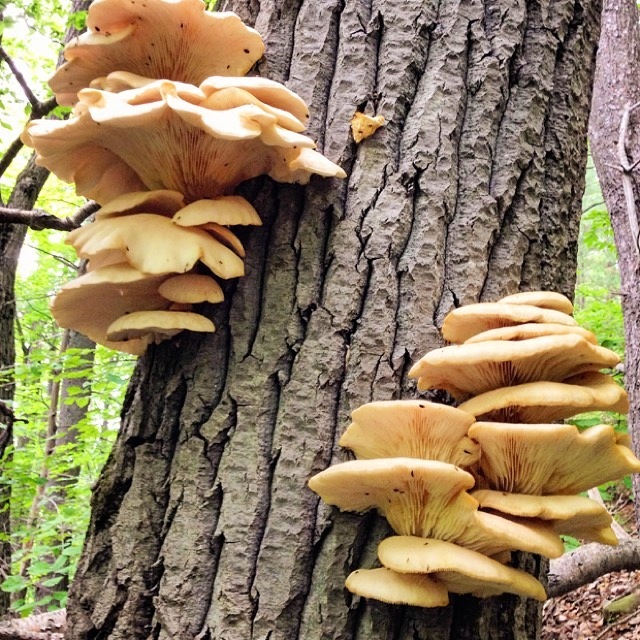 While quite exotic in appearance, oyster mushrooms are mild in flavor. They are very delicate and cook quickly, so add them to a dish toward the end of the cooking process. 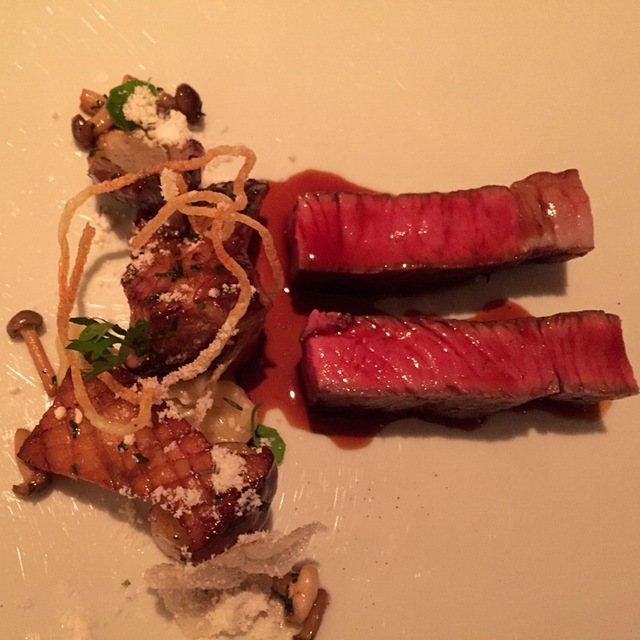 The flavor and texture of shiitakes make them incredibly versatile. These cold season mushrooms are particularly tasty when eaten raw, though they also cook up perfectly in a stir-fry. They dry well too, and their umami flavor is strengthened when reconstituted in water. 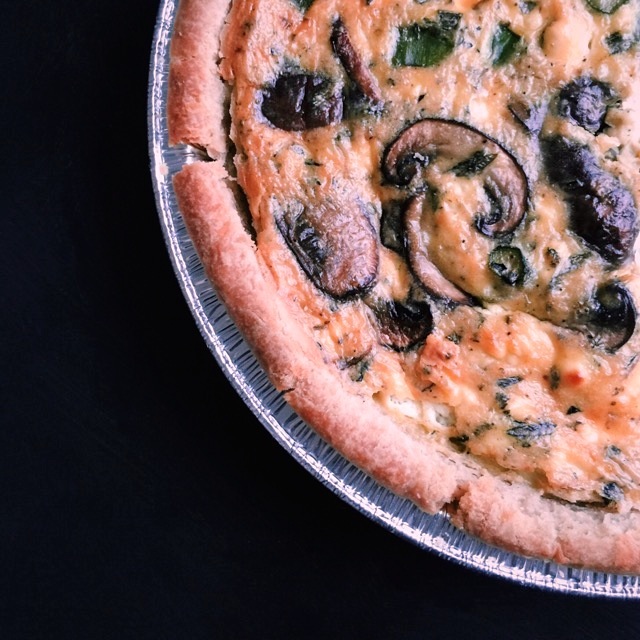 Featured Mushroom Recipes from Foodstand Posts! 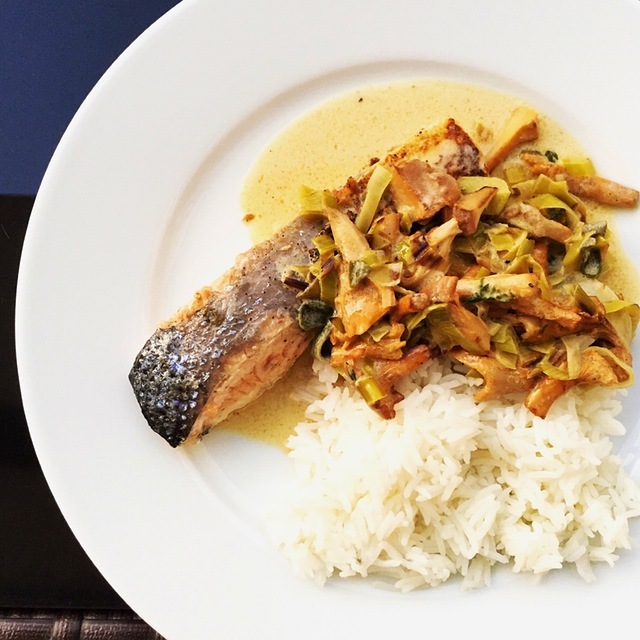 Served with pan-fried salmon and basmati rice. Add a knob of butter to a hot skillet along with garlic, thyme and leeks. Sauté for about a minute or until they start to soften. Add mushrooms and fry for another minute. Add the wine (or water) and let it bubble for half a minute and then add the cream and mustard. Combine the vegetables and sauce well, and let everything cook for 3-4 minutes. Season the sauce if needed. Serve immediately. This soup is rich and creamy despite being cream-less, and the shiitake mushrooms give it a fantastic smokey flavor. Recipe adapted from Mustard’s Grill. Meanwhile, heat 2 tablespoons butter over medium heat in a large heavy-bottomed pot. Add the mushrooms and sauté until they have released their liquid and are beginning to get some color. Set aside. Heat the remaining 2 tablespoons butter over medium in your pot, and add the garlic, ginger, and onions. Cook until they have just softened. Add the curry powder and cook while stirring for a minute to bloom the spice and open up its flavor. Scoop the squash flesh out of its skin into the pot, and add the vegetable stock. Adjust the heat, and let simmer for 30 minutes. 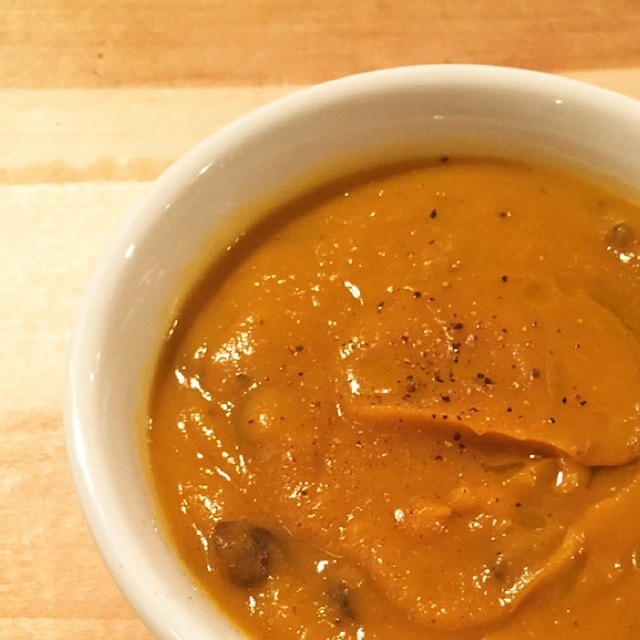 Turn off the heat and purée with a hand blender until smooth. Season with salt and pepper to taste. Stir in the mushrooms, and ladle into bowls. Drizzle olive oil and grind a bit of black pepper to garnish. Serves 6-8. Sick hubby means soup for dinner! 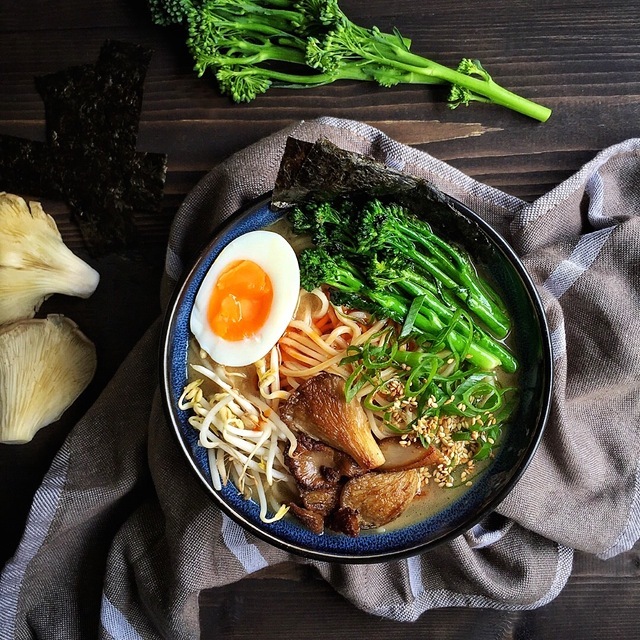 Chicken miso ramen soup topped with sesame broccolini & oyster mushrooms, bean sprouts, spring onions, toasted sesame seeds, soft boiled egg, nori and chili oil. Made these earlier in the season when ramps are out. 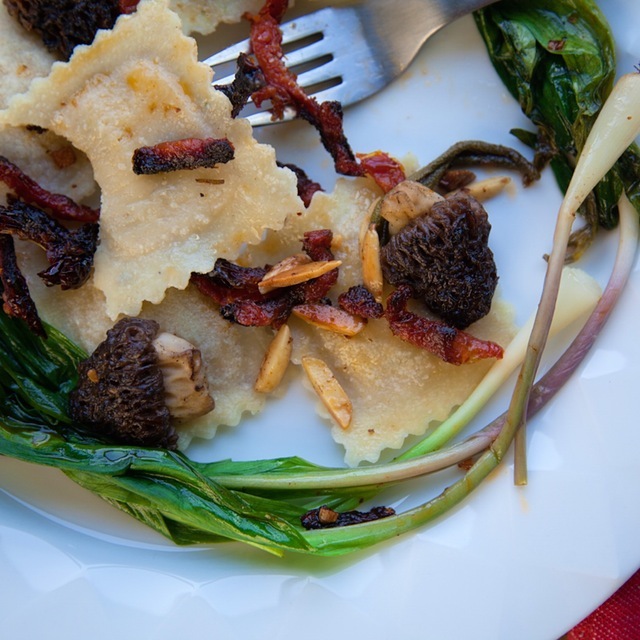 Morels from Primordia Farms! What’s up, doc? Carrots Galore!